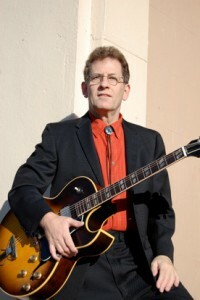 Seattle guitarist and singer Chris Stevens has been a favorite of Northwest blues fans for many years. His intense playing calls the prime years of stellar guitarists like B.B. King, T-Bone Walker and Kenny Burrell to mind. Preferring to deliver his electric blues lines with the rich tones of a big Gibson archtop, Chris combines scorching blues feeling with dazzling chops and constantly surprising musical ideas to create a style that cuts across genres, including blues, jazz… and surf!